Is vaping allowed while you’re at work? Here’s a look at some of the tips for vaping while you’re at work. Yes, people within the vicinity of someone smoking face a serious health hazard from the second hand smoke but vaping is also being considered to be the same thing nowadays. There is some clarity which needs to be made on this issue. Is it really okay to vape indoors generally? You see, non-smokers were okay with people smoking around them until everybody found out how harmful the second hand smoke can be for them. Smokers suddenly became pariahs in the eyes of non-smokers. With more and more people starting to vape now, it only makes sense that they are experiencing some of the same issues. This is why we are going to explore some of the dos and don’ts of how you should vape indoors. This is a question which has answers specific to where you are. The establishment you are in has its own rules and then the city and country you are in can have its own rules and regulations about vaping indoors. The real challenge is to keep yourself up to date with the status about the rules and regulations. The situation in the United States is such that there are several states that have banned vaping indoors. Currently in the United Kingdom, there is no official legislation that has been put into place that is concerning the use of e-cigs or vaping. There was a bill that came close to being passed in Wales where there would be a ban on vaping in public spaces where children might be present but it did not fall through. There was a headline making news when there was a beach in Wales that banned smoking and that rule extended to vaping as well but there is no real legal action that will be taken against a person for indulging in vaping there. They will only be asked to stop. This means that whether or not vaping is allowed right now all depends on the owner of the establishment in question more than anything. Tips on Vaping at Work – Can You Vape At Work? Whether or not you can vape while you’re at work depends on the laws in the jurisdiction and the rules of the workplace itself. 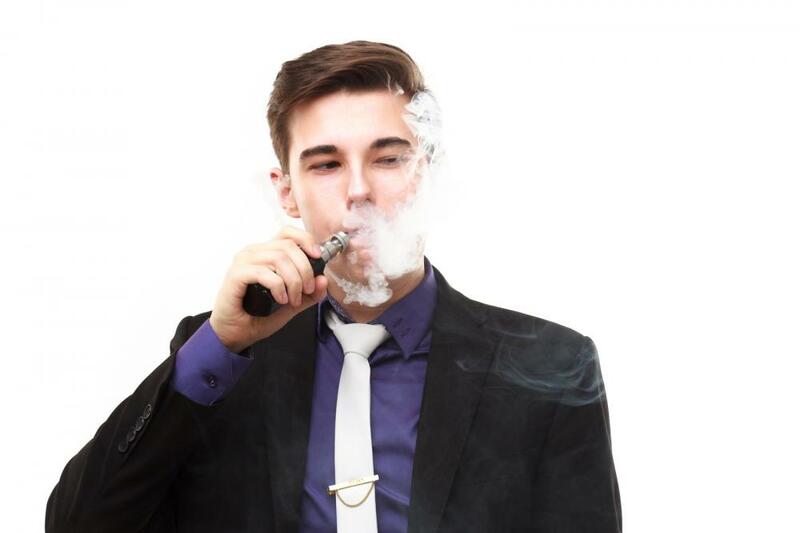 Generally when it comes to vaping at work, you should know about the guidelines for it. There are some workplaces which have designated areas that you can go to for smoking and vaping. There are even workplaces that have designated areas for vapers only while smokers have to step out of the establishment to indulge in smoking. Vaping within the office working space, like in a cubicle, should be something that is always best avoided. Other than the factor of second hand vape, there is also the aspect of it being simply annoying and distracting to non-vapers to consider. It goes without saying that you should be considerate towards your colleagues. We understand that vaping the Lush Lemon flavour is one of the most amazing experiences in the world but non-vapers might not necessarily feel the same way. Besides, a whole cloud of vapour filling up the office space is very distracting. There are no specific guidelines in place right now but it is important to ask for clarification on guidelines about vaping at work. Following the guidelines and general etiquette while vaping at work will help make the lives of both vapers and non-vapers a lot easier.